I don't think I've ever seen an egg stand before but now that I have, I kinda love it. 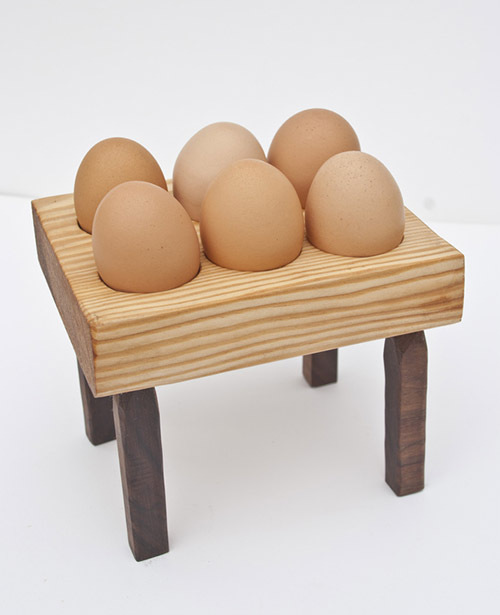 This stand, built for a half dozen eggs, is made of hand carved pine and walnut and sealed with tung oil. Makers Shannon and Megan Brantley of Southern Alabama make two other stands fit for a dozen eggs. See them here and here. 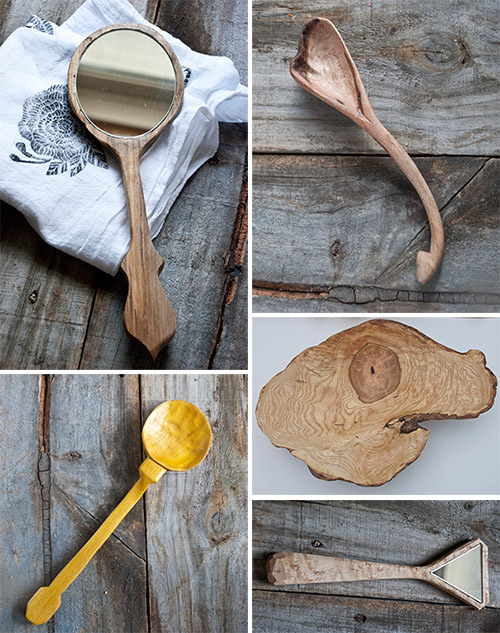 You'll find almost a dozen wooden jewelry pieces in their shop as well. I love how they incorporate vintage brass chains with each piece to add character and style. How sweet is this pine and copper stand for your loose jewelry? Adding a few cute, stubby legs just makes all the difference, doesn't it? Peruse Megan and Shannon's entire online shop, here.